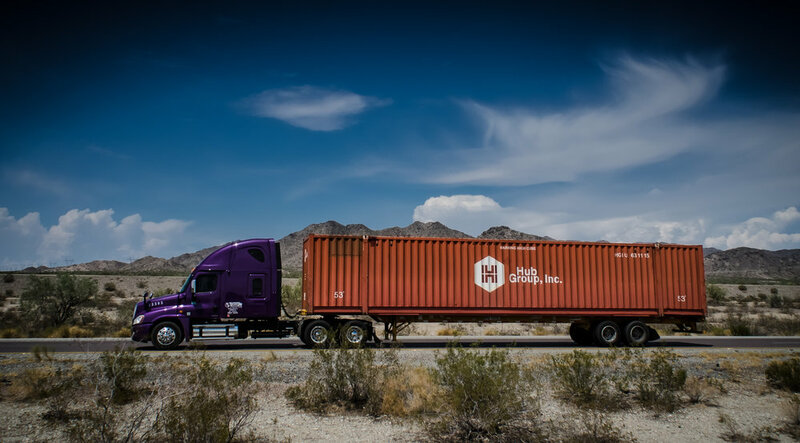 Hub Group (NASDAQ: HUBG), a large intermodal transportation provider with truckload brokerage and logistics services, announced its financial results from a very strong second quarter yesterday evening. The call was led by Hub CEO David Yeager, President and COO Don Maltby, and CFO Terri Pizzuto. Hub Group reported earnings per share of $0.66, handily beating the Street’s consensus estimate of $0.50; Susquehanna raised Hub’s price target to $64 from $61 on the news, and Stifel raised its price target to $53 from $47. At press time, HUBG was up 10.8%. “The market was very strong, with a robust economy coupled with ongoing capacity constraints,” said Yeager in his opening remarks, referring to the bullish environment for intermodal pricing given tight capacity in both the rail and truckload segments. “That momentum continued into the second quarter, as consolidated revenue grew 28%, while earnings per share grew 128% to $0.66 per share,” Yeager continued. Yeager said that Hub has repriced about 62% of its business so far during the quarter, and expected sequential price increases in the mid- to high single digits through 2019, barring a black swan event derailing macroeconomic fundamentals. Higher rail and drayage costs partially offset Hub Group’s price hikes. Analysts during the Q&A period at the end of the company’s presentation focused on two questions: the impending sale of Mode, a division of Hub that also offers truckload brokerage and logistics services, albeit with a decentralized agent model, and the company’s guidance for the fall peak shipping season. Hub’s executives didn’t have a great answer for the questions about what to do with Mode, though they acknowledged that they needed to sell the business and acquire a company that was more strategically aligned with their centralized brokerage and logistics model. Mode brought in revenues of $314.1M for the second quarter, up 29% year-over-year; operating income was $7.1M, up 15%. Meanwhile the Hub side of the company posted revenues of $888.2M, up 26% YOY, and operating income of $24.8M, up 139%. Second quarter intermodal revenue increased 17% to $526.0 million reflecting a 4% increase in loads, price increases and higher fuel revenue. Yeager, Maltby, and Pizzuto gave better visibility into Hub’s expectations for the fall peak shipping season. “We are anticipating a very lengthy and strong peak shipping season. We’ve been in the process of planning for this peak with our clients since April, and are expecting an early peak that will have a long tail, much like 2017. We believe that a strong peak will contribute towards a positive pricing environment in 2019,” said Yeager. “We do feel very confident that we will have peak surcharges. In fact, any cost that we might have, we would be able to recoup,” Yeager responded. Michael Triano, an analyst from UBS, asked Pizzuto, “Is it possible, it could be up year-over-year on operating income in fourth quarter, given the difficult comp?” “Yes. We estimate we will be up year-over-year,” replied Pizzuto.